Found 2 file extension associations related to MyPhoneExplorer and 2 file formats developed specifically for use with MyPhoneExplorer. 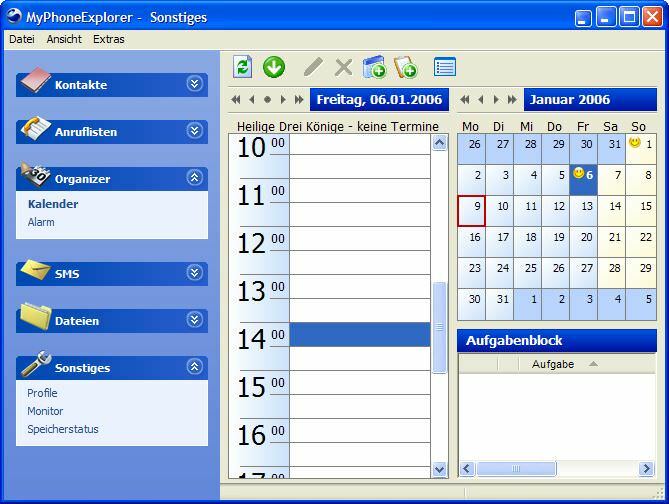 MyPhoneExplorer Explorer is a maging utility for Sony Ericsson phones as well as for various smart phones with Google Android operating system. MyPhoneExplorer is able to manage all content of the phone such as contact list, sms messages, multimedia files etc. via USB cable, WiFi, or Bluetooth connection. If you need more information please contact the developers of MyPhoneExplorer (Franz Josef Wechselberger), or check out their product website.